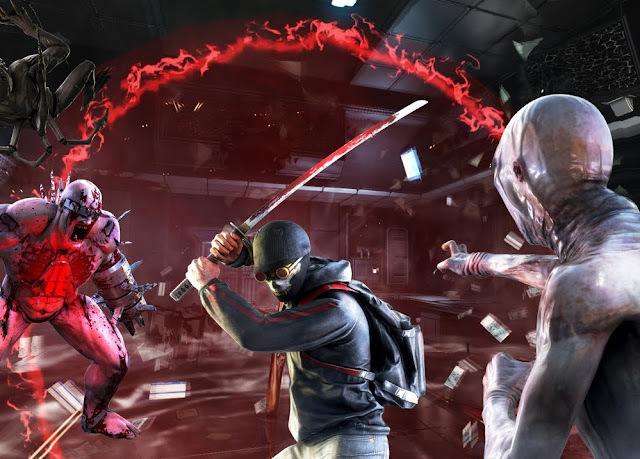 If you are simply looking for an action-packed shooter that works far better with friends than alone, then Killing Floor 2 is not a bad option. If, however, you're on the hunt for a game with a narrative, or indeed any degree of substance, then this polished up version of the original game is going to leave you cold and disappointed. Related reading: Gears of War is of course responsible for the horde mode that so many of us love today. Jim's review of the latest entry in that series. He completely bypassed the tutorial and just went right into the action, delving into the first wave of enemies to slaughter. Granted, he did so at the easiest and shortest of gameplay settings, but he beat that first try. He then ramped up the challenge and subsequently found himself on the losing end, but enjoyed his time with it. He said it was fun, even if it wasn't substantially different than the first game (as evidenced by his ability to simply pick up and play successfully on the first go). 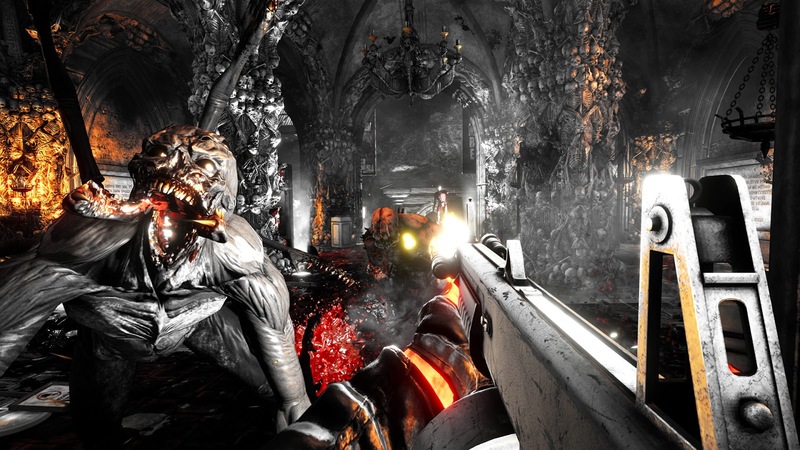 So what is Killing Floor 2, exactly? It's a horde mode shooter where you can take on four to ten waves of enemies that continual to increase in difficulty. You run around the stage fending off a variety of gruesome critters using a nice selection of weapons. This kind of thing is fun, and we've seen plenty of other shooters offer horde mode options, from Gears of War to Transformers and even Plants Vs. Zombies. But as a standalone experinece, the biggest issue I have with Killing Floor 2 is that the gameplay is really quite shallow. Whether you take on the lowest number of waves possible or the highest, there's not much variety, and even less context to help immerse you within the action. In the end you have the chance to take on one of a couple of different bosses that are brutally challenging and then win or lose, you gain some points that allow you to level up your character. The perk system is probably the strongest aspect of Killing Floor 2, as it gives you a chance to level up the equipped perk as you play the game. At certain intervals these perks grant additional bonuses that make Killing Floor 2 something of a grind, but at least it is a shooter with a sense of progression. It allows you to specialise in specific types of weapons, offering different bonuses depending on what you take. It really doesn't add a lot of strategy though, and ends up feeling superficial as a result. It's all nice in theory and when you're setting up your character, but once the action actually starts the sensation that your choices have had an impact just isn't there. 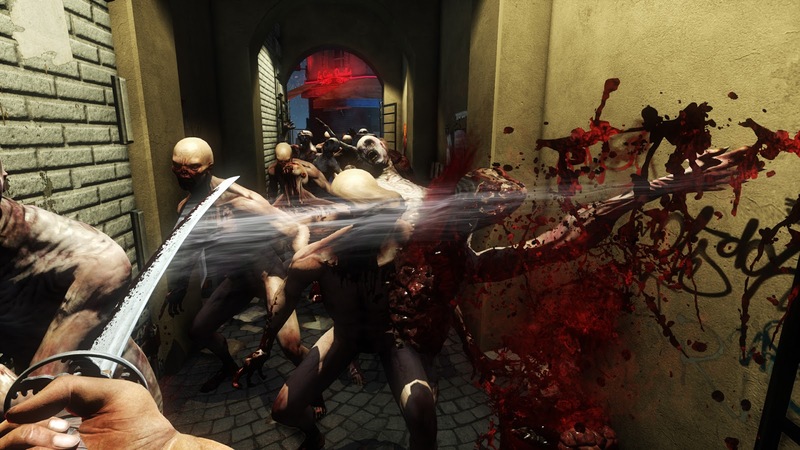 Once the shooting starts, Killing Floor 2 is a breakneck experience that sends wave after wave of zombies (called Zed here) hurling your way. In between waves you can reload your weapons and buy new ones so your character is better prepared for the next wave of monsters. Most of these critters are mundane, but there are some unique ones that ramp up the difficulty, especially in later levels. Some emit sound shields, others have big grinding gear-like bracers they want to saw you in half with, others puke poison on you (lovely, right?) and more. The number of critters the game handles on screen at once is actually really impressive, but the speed of action also means that there's little room for the developers to add variety into the mix. 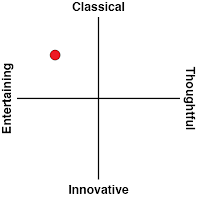 The two modes are survival and survival versus. Survival is exactly what you would expect as you and your team (please, play with others. The single player experience is not only hard to the point of feeling unfair, but frankly somewhat boring due to the repetitive nature of the gameplay) to hold off the AI enemies. Most of the time I spend it shooting at enemies as they draw close, then turning tail to retreat to another part of the stage so I can set up camp and take them on as the Zed approach again. I then turn around and run - lather, rinse and repeat. Survival Versus is a competitive mode that sees players as humans fighting to survive pitted against players who control monsters. The storyline itself is also pretty thin. In fact, I saw no real reference to it except online when I was reading up on it. In theory your character is located in continental Europe as they try to battle hordes of failed experiments gone wrong - the Zeds. So the idea is that a ragtag group of people will come together and offer greater resistance to the Zed threat than the actual military or government ever could. And... that's about it. Stages are well-designed and often interesting to look at. Hallways lined with skulls create an atmosphere more effectively than most shooters out there, and the over-the-top buckets of blood that come out of the shooting and slashing of swords is commonplace. Now, we're not against a little gore, but without context it feels gratuitous and juvenile. Here is an example of that; Killing Floor 2 is simply violence and gore for the sake of violence and gore. 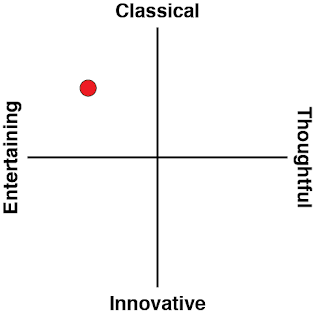 It's not as cool as it thinks it is. To its credit, Killing Floor 2 has a nice variety of weapons and if you are playing with friends, good communication can lead to some memorable fire fights. Instead of the running in circles tactic I laid out before, working with a team allows your friends to communicate and execute strategies that make the experience far more rewarding. It's the closest the game comes to offering variety, too, as suddenly you need to pay attention to positioning and the design of the levels, rather than just running to wherever enemies are not. 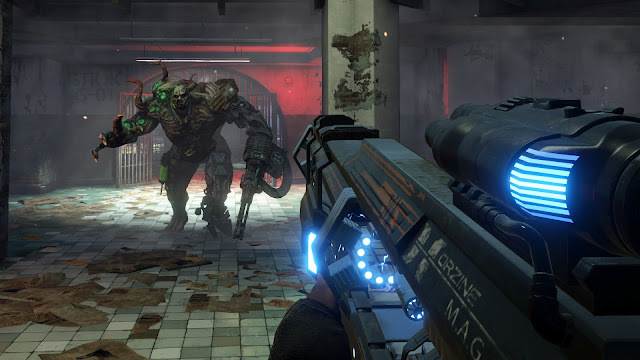 Taking a shallow sub-mode from other games, and presenting it in a no-frills manner, might make for a competent and reliable shooter, But Killing Floor 2 also fails to be anything more than a diversion from other, better shooters as a result. It's utterly useless in singleplayer, and for multiplayer hijinks there are more creative examples out there.